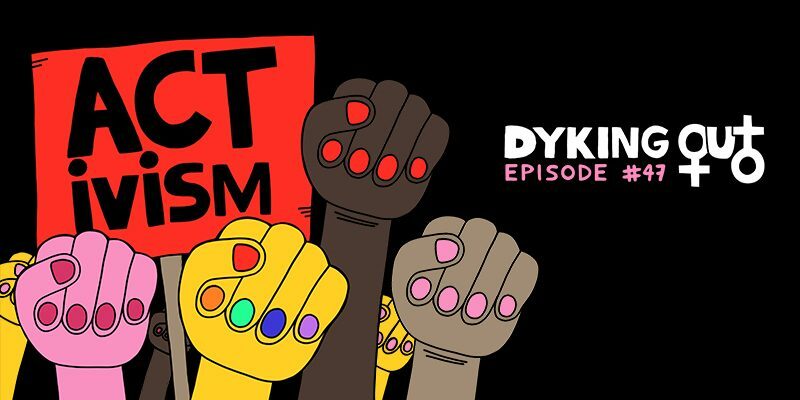 THE Amy Siskind (The New Agenda, The Weekly List) joins us to Dyke Out about activism in the face of an administration that’s worse than season 7 of The L Word (or Below Her Mouth which we discuss up top). Amy has been following and documenting the daily deluge of the harmful and #notnormal actions happening under this government, and we are just in awe of her ability to take on such an exhausting endeavor. We ask about how important it is to pay attention to what’s happening vs. ignoring it for your own sanity. And, on a scale of finding a girlfriend in Canada to stockpiling water for your soon-to-be-built doomsday bunker, how nervous do you need to be about Trump getting re-elected? We don’t want to give away too much, but this episode gave us the optimistic boost we’ve been needing! But before we talk about Amy, we dyke out about bad lesbian movies, the lesbian breakup heard ’round the internet, and how much we love Sharice Davids.